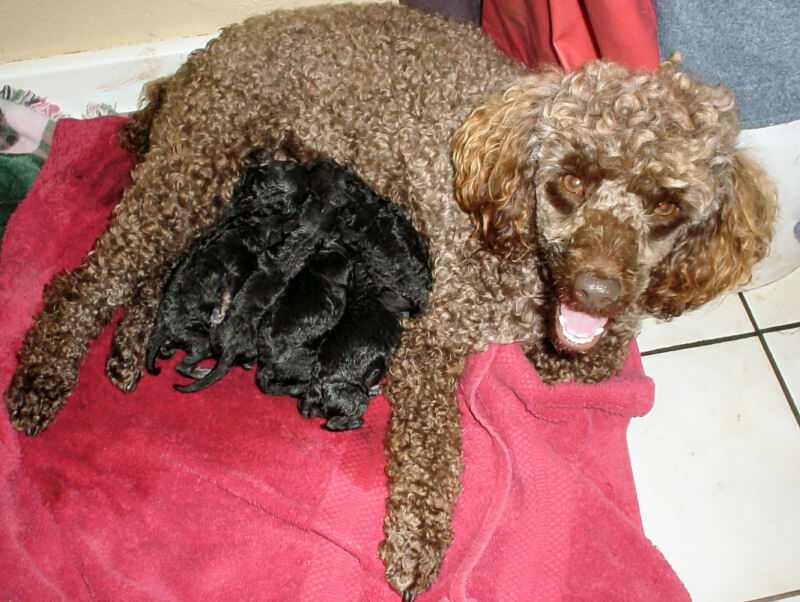 Due to our extremely busy schedule, we have decided not to have any more miniature poodle pups born here at Milk and Honey Farm. Pilgrim has shifted from stud to pet status. 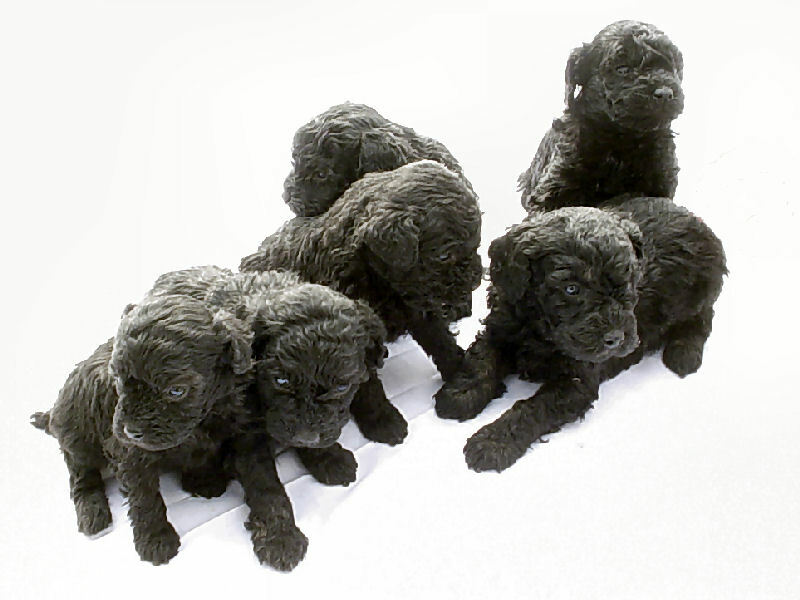 The Poodle Pack has arrived! These pictures have been taken at four-weeks. Their eyes are open and they are walking. 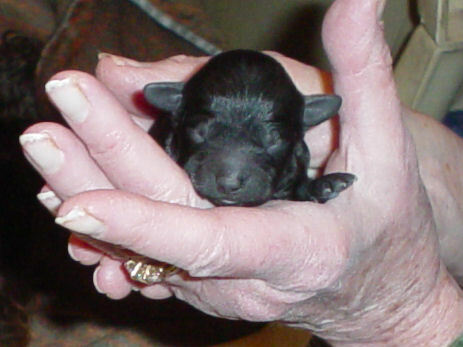 As adults, the puppies will be similar in size to their parent, Pilgrim. Pilgrim weighs 11 pounds and stands 12 inches at the shoulder. 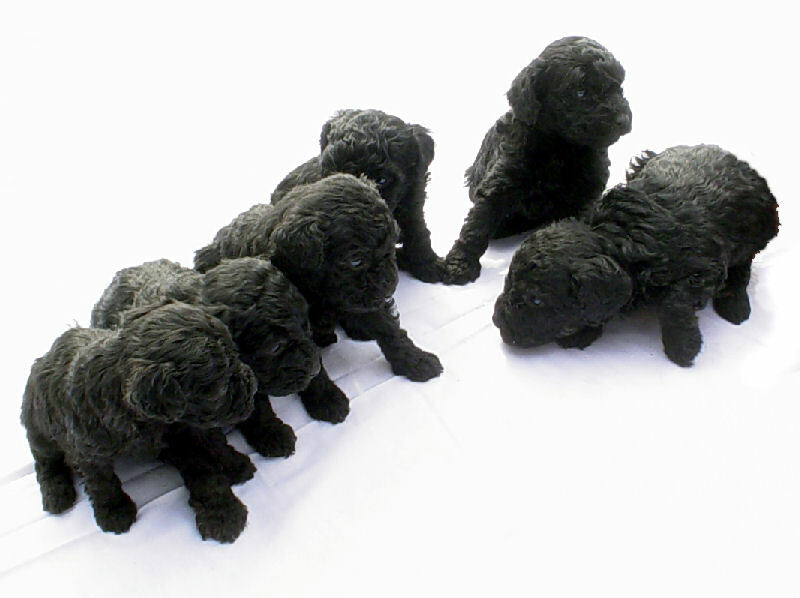 Milk and Honey Farm is proud to announce the upcoming event of our first litter of Poodle Puppies. 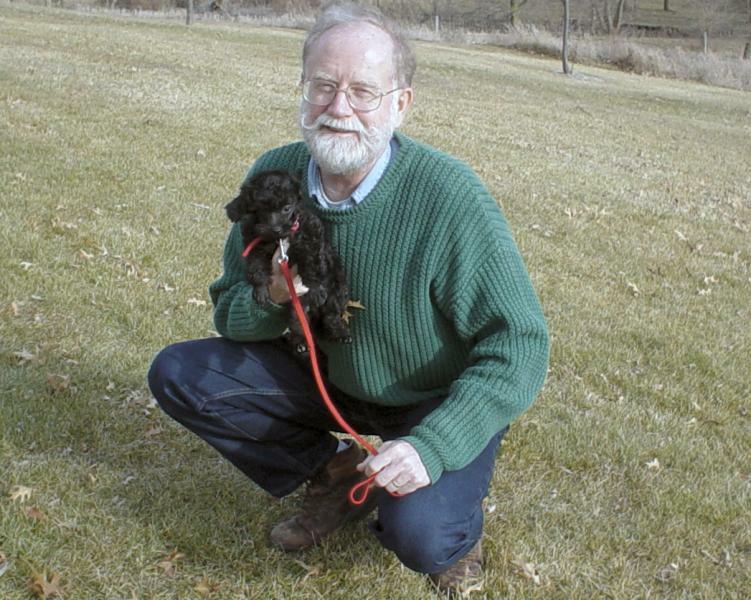 Pilgrim, our black miniature male, is the father-to be. What make the poodle puppies a bit of a challenge is that we are also anticipating the birth of three litters of Great Pyrenees puppies this winter. We have always had our Pyr pups born in the whelping box in the basement, one litter at a time. The puppies are kept inside for a week to 10 days and then go out to the barn kennel. 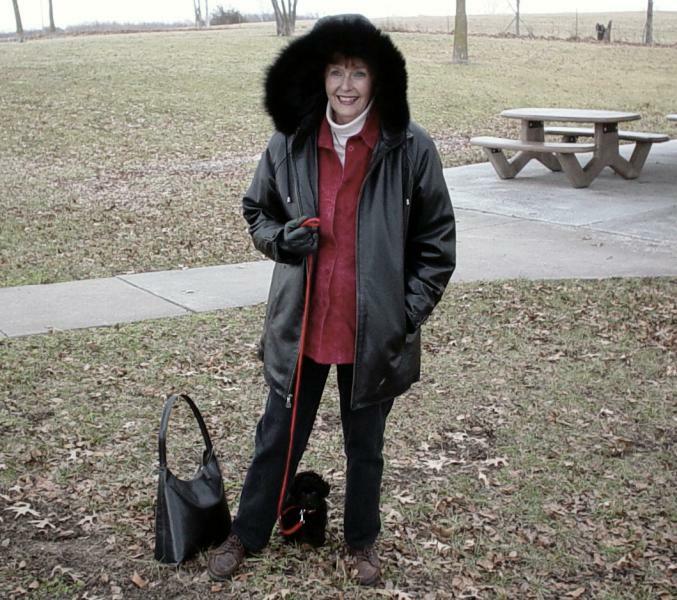 We can’t have the Pyr Moms and puppies in the same area as the Poodle puppies and Moms. 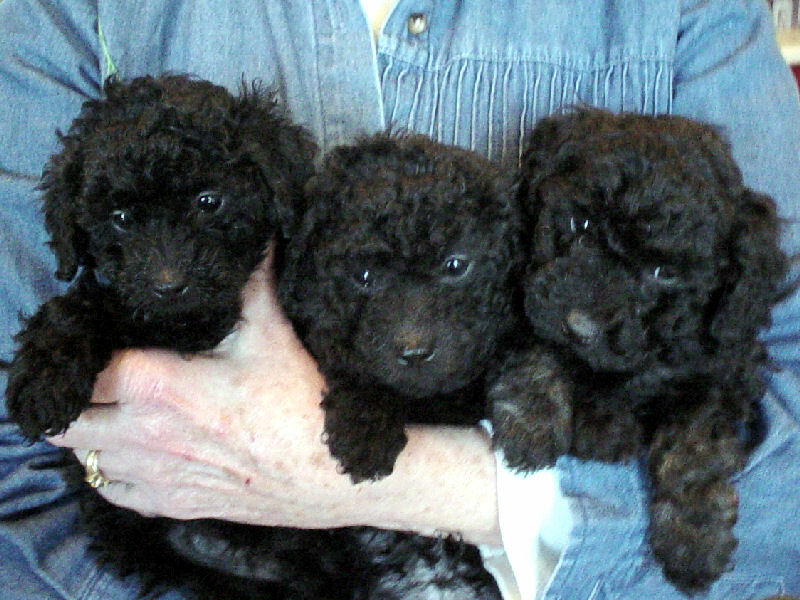 I am considering a warm corner of the kitchen for the Poodle puppies. That way, I can keep an eye on things. We could also use the old play pen for the poodles. 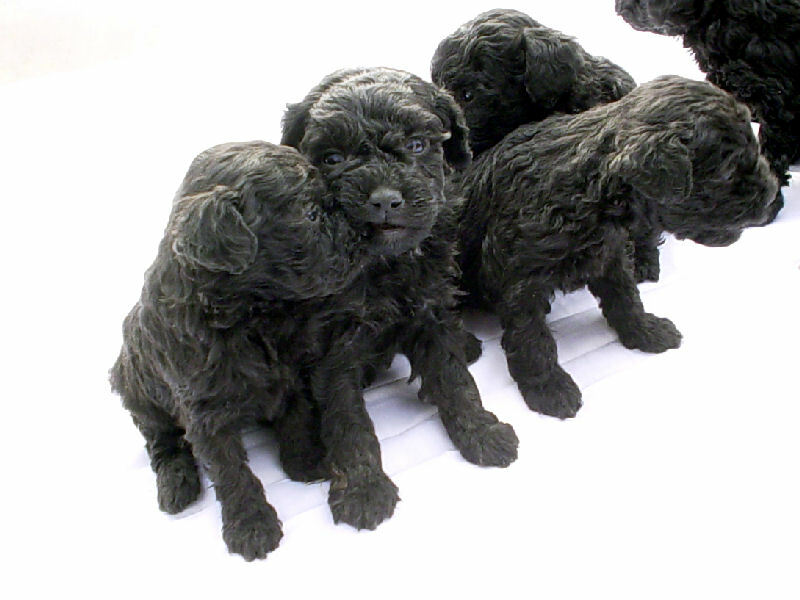 The Poodle puppies will be a new experience for me and I am looking forward to it. I just need to figure out where to put everybody. Pilgrim went to the Poodle groomer last week. For the winter, we will keep his coats long, including his feet. His nose will be kept short with a mustach. He is enjoying our first snow fall this morning. He has been chasing the big snowflakes all over the yard. 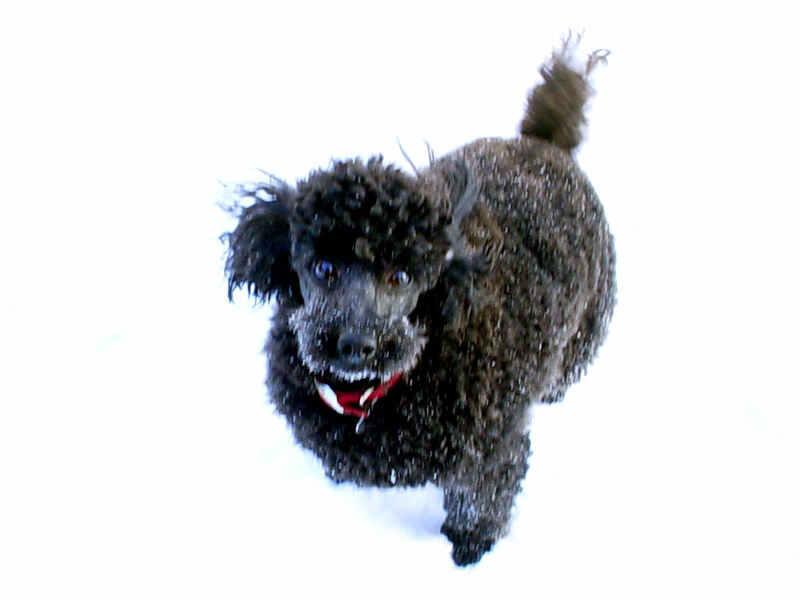 The miniature Poodles seem to have no problem with the cooler weather. 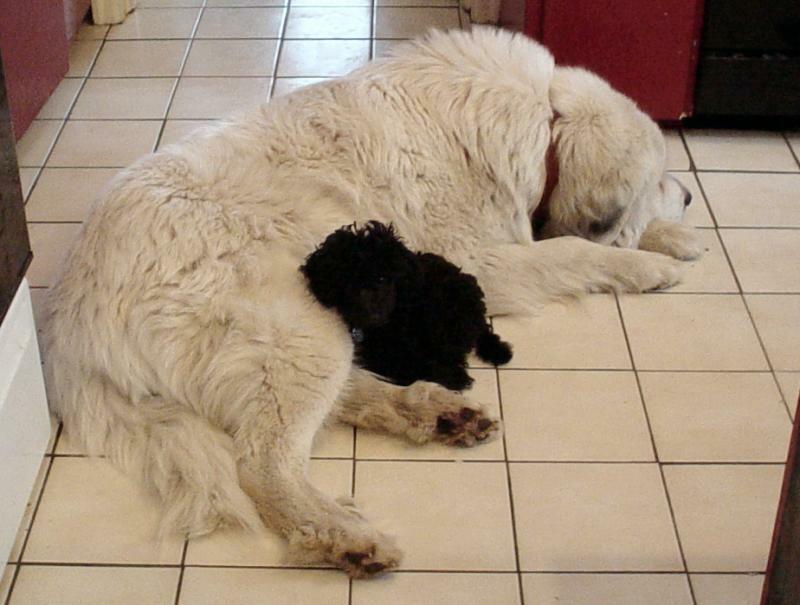 Pilgram has Honey Bear (our oldest female Pyr) to curl up on. They all pile into the dog house that Bob built in the front kennel. When it gets super cold, I will kennel them inside. 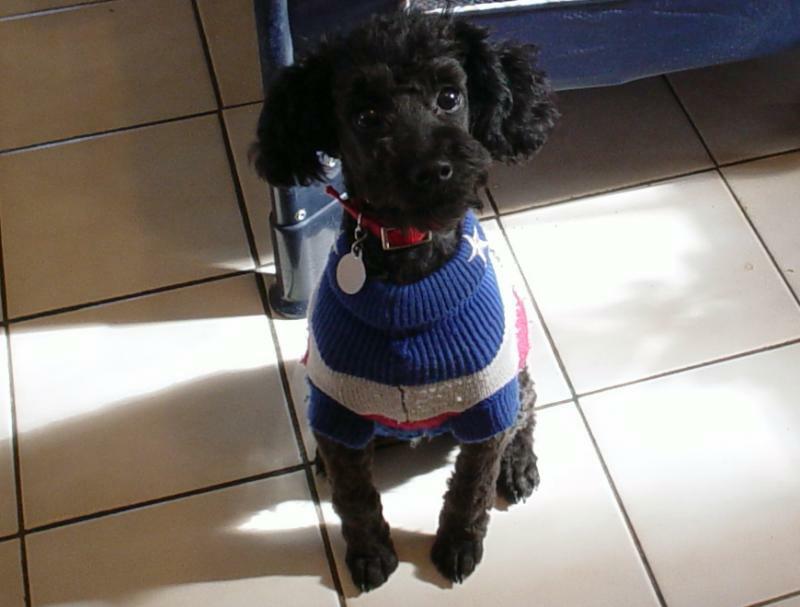 I ordered some cute Poodle size sweaters from Jeffers. They are red and white stripe and will help to keep him warm when it gets colder. 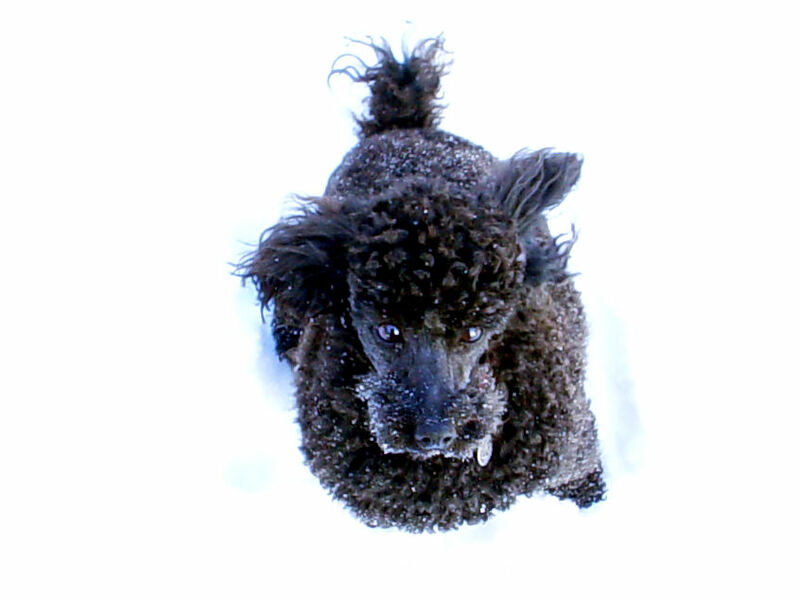 Meanwhile, they are happy playing in the snow, and we are happy with the expected Poodle puppies! Pilgrim got a hair cut and I don't like it. He looks like a Spider! I have been calling him "Spider-Man". His coat will grow out and be cute and fuzzy again, but meanwhile he wears a sweater. The lady who cut his hair is a class act groomer. She really knows what she is doing and has an excellent reputation in this area. I did not communicate at all well as to how I wanted him "done". Next time, I will be very specific. For now, I call him "Spider-man". Our puppy is growing and learning the rules of the farm. He hits the papers most of the time and has learned not to chew my moccasins. 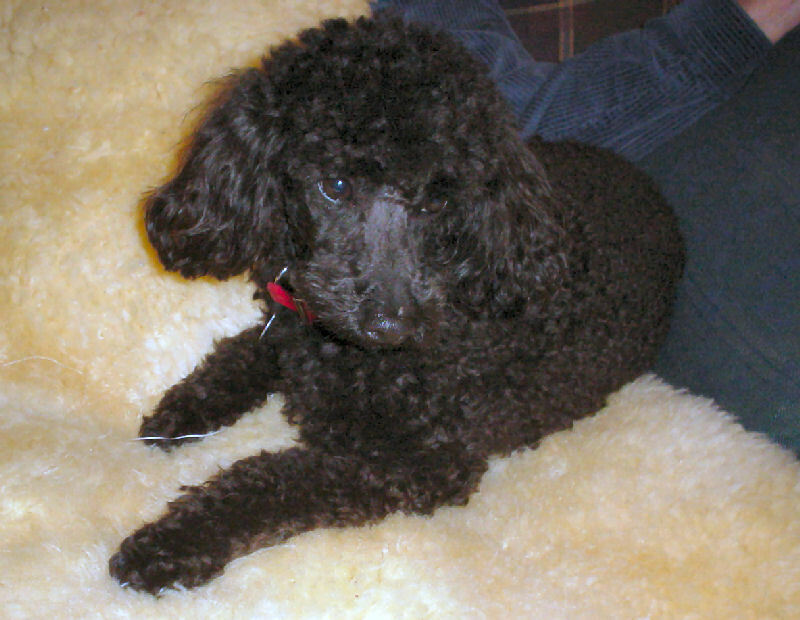 Pilgrim is typical of the miniature poodle as he is lively, amiable, playful, eager to please, smart, and enjoys being in the company of his "people". 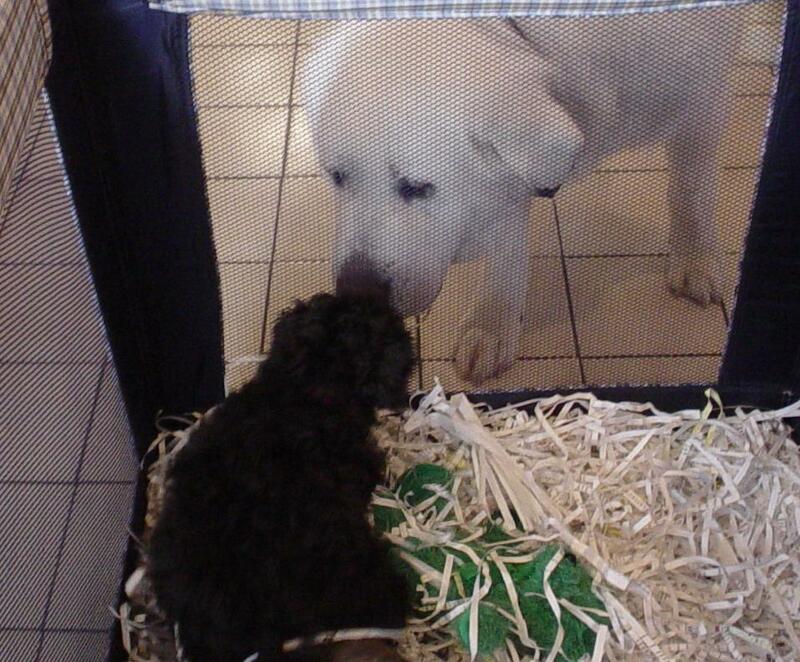 (Bob and me) He is adjusting to his kennel and has met all the BIG dogs-(our Great Pyrenees). He is fearless, and does not know that they are not impressed with his poodle antics. They ignore him. Our cats seem to think that he may be a large black mouse. I plan on doing some obedience training soon. 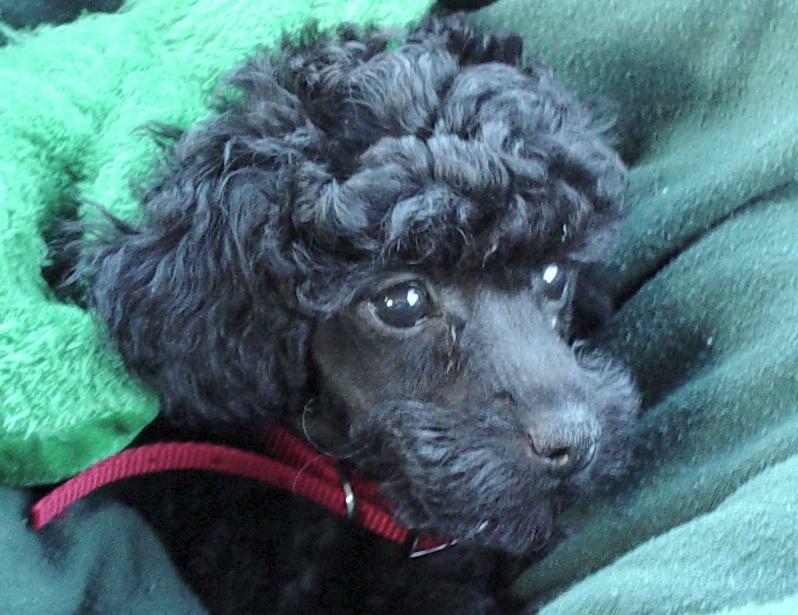 Bob bought some "Poodle Books" and I am reading of how to teach my busy puppy some manners. This whole project is very different that raising my beloved Great Pyrenees, but it has its own particular kind of charm. It is beautiful thing to share my warm wool comforter with a sleeping puppy in my lap. Life is good. I would like to present PILGRIM POODLE. 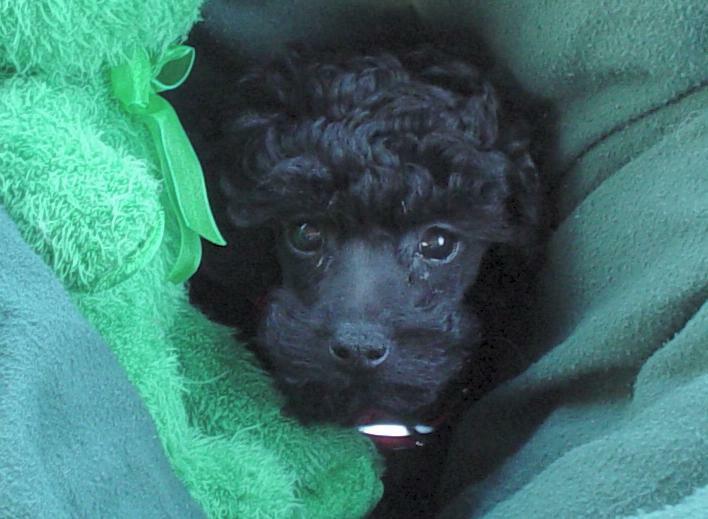 He is an incredibly cute, eight week old miniature black poodle. 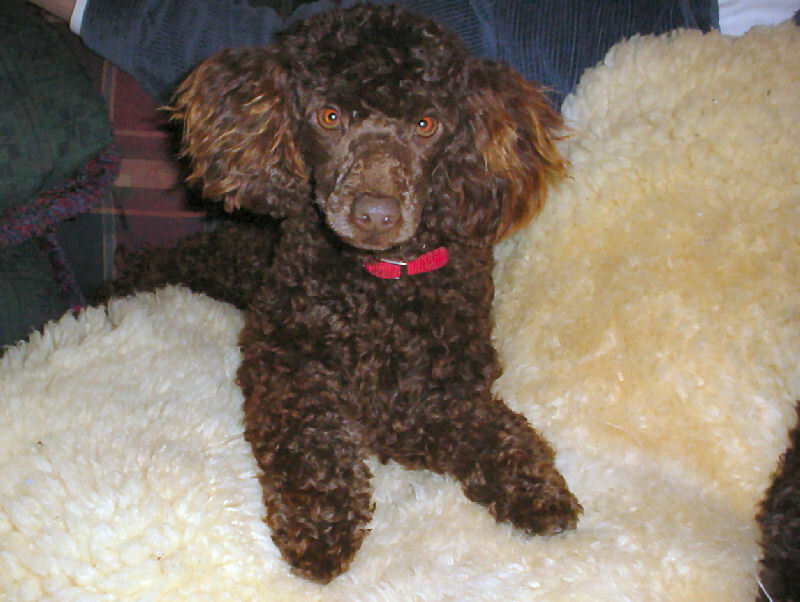 He came from his Poodle Palace in Kansas to our Pyrenees Ponderosa in Minnesota. These pictures were of Pilgrim's progress as we traveled from Kansas back home to Milk and Honey Farm. Some may think that this is a long way to travel for a dog. 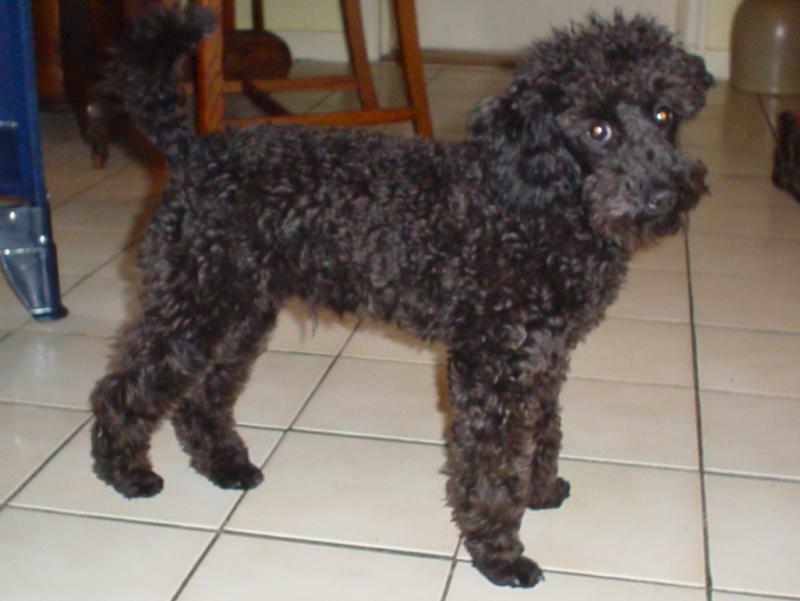 However, black poodles are hard to find and I had a lot of confidence in his breeder. At eight weeks, he weighs in at three pounds and can be easily picked up with one hand (unlike a Pyr puppy who would weigh twenty pounds at eight weeks.) The PLAN is to find him several female friends and breed miniature poodles to compliment my Great Pyrenees. 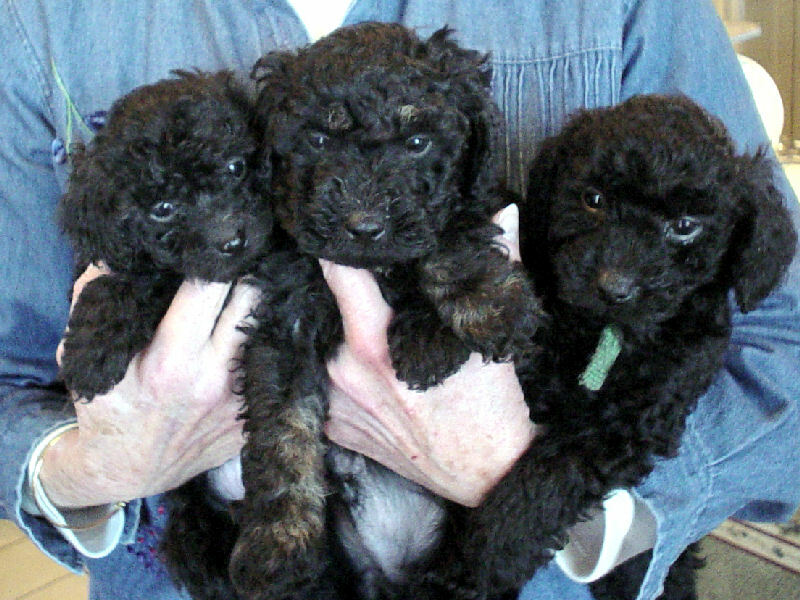 If you know of a female, black, or chocolate brown miniature poodle puppy--with excellent blood lines and AKC registration, please contact me. Have kennel, will travel. More on all this later--including the reasons why. I love the pictures--he is about the size of a hood ornament for one of my Pyrs! Web Design Copyright © 2001-9 Milk and Honey Farm. All Rights Reserved.